Heidi's Kitchen believes that food should be exciting, colourful and taste great whilst doing great things for your body all at the same time. Nearly all vegan, lots gluten-free and raw. We can cater for private functions, including buffets. Fit 4 a Kiing is a family run brand that promotes a healthy lifestyle. Our concept was inspired by our Jamaican heritage and the late Dr Sebi along with his nutritional guide. We at Fit 4 A Kiing aim to inspire our customers to continue to "eat clean and eat green" by providing delicious healthy vegan and gluten free alternatives. Available for a range of private catering events. Vegan versions of traditional Spanish recipes. We can serve full meals or tapas for sharing, to accommodate our customers needs. Our specialities are vegan chorizo and spanish omelette, which we serve in rolls or on a plate on market days. The Green Bean is about wholesome no-fuss vegetarian & vegan food made to satisfy any hunger. Appealing to all & made from locally sourced produce. Happy to cater for private functions, from meetings to weddings. Time Out award-winning venue specialising in World Food, Craft Beers, Organic Wine & Cocktails. We are concentrating on the restaurant side of our business but would consider any requests for private catering so drop us a line! A wide selection of vegan creole: sweet breads and cakes, fruit flavoured, mud pies and more, all freshly baked and using traditional Caribbean vegan recipes. Look out for such unusual delicacies as cocoa and Kentish beetroot cake, and even spiced parsnip and turnip cakes on occasion!! The range includes gluten-free and nut-free items, all at extremely reasonable prices, in keeping with our philosophy as a business based around inclusive community. Can also provide some hot savoury catering for events. A couple of us shared a slice of chocolate mud pie and black forest gateau at Bristol Vegfest. WONDERFUL cakes! Rich flavours and perfectly moist. Fully vegan caterer, and personal chef, with ability to do vegetarian if requested. Set menu of Moroccan/Middle Eastern food, Ottolenghi influenced, at £21/head for a 3 course meal. Flexible, and able to create a unique and more personal menu, for whatever your event requires. Specialising in vegan fast food, The Green Grill have quickly established themselves as one of the leading businesses in the street food scene. Their signature burgers and hot dogs are dyed using only natural ingredients, with nothing deep fried you are guaranteed to walk away with a full stomach a big smile and no guilt over what you just ate! Whether you're throwing a mad crazy glitter party, just having a few friends round for some civilised tea and cake or need an energy boost after an intense Bikram Yoga session, we're here to cater for all your vegan needs and desires. Our selection of treats includes galaxy cupcakes, chocolate lined cookie shot glasses, unicorn cupcakes, rainbow cakes and even flying cupcakes as well as the fudgeyest and most chocolatey brownies you've ever tasted. We can make birthday and celebration cakes. Having mastered the vegan naughty treats side of things, Baking Bad has also started venturing, and working its magic in the world of raw vegan treats. Handmade homemade cakes. 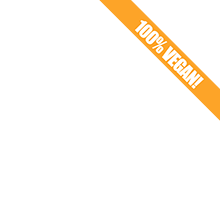 All our products are 100% Vegan. We are based in East London. Orders can be placed through Instagram DM or by email, with postal delivery across UK. A relaxed and friendly vegan cafe with daily specials and comfort food favourites. We do festival and market catering and we also specialise in vegan occasion cakes. Check out some of our award winning decorated cakes on our website. 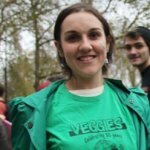 Vanessa Almeida is a Brazilian vegan chef based in London who has published the Essential Vegan Cookbook. Satisfying her desire to educate and inspire others in the kitchen, Vanessa likes nothing more than combining healthy ingredients to create delicious recipes, proving that vegans needn’t ever compromise in flavour to live according to their ethical beliefs. Please get in touch with your requirements for sweet and savoury vegan catering. Organic cakes and savoury pastries – gluten free, sugar free and soya free on request. Can also offer outside catering - whether you are looking to host an intimate dinner or a longer celebration, Chef Giancarlo will personally create a delicious menu to suit your needs. Yellow Kitchen offers unique plant based & vegan menus for parties, bespoke events, receptions & weddings. Every menu we put together is bespoke but we have sample menus available on our website. FED BY WATER™ is a brand new concept restaurant offering authentic, traditional Italian plant based cuisine with the objective of bringing the nutritional importance of pure water to the public conscience. FED encourages healthy, ethical and sustainable living while also appealing to the most discerning foodies! At Earth Foods Kitchen we’re all about good quality, homemade and exciting 100% vegan food made with serious love. We cater for everyone, so you’ll find that our varied menus are allergen conscious and most of all delicious! We offer a corporate/party menu that is available for delivery for Greater London. We also offer catering for weddings and private chef hire for a five course dinner or brunch. American style fast food – veganised! We are a 100% vegan street food business. We also offer catering and specialise in vegan fast food including cheeseburgers, mac and cheese, fried chicken, and sandwiches filled with small goods. Can also do fine pastas and south East Asian dishes. All of our mock meats, cheeses and sauces are homemade and free of animal products. Exquisitely prepared, delicious, and packed with vital nutrition. Our catering service is personalised to whatever is needed e.g. corporate events, parties, supper clubs. We have chefs who have been highly trained in the art of healing nutrition and who take time and care to make sure that the food is balanced and nutritionally dense. The menu is based on food that we, as a family, enjoy. I love cooking and baking, and eating! Especially with and amongst like-minded friends, so with this ethos in mind we came up with The Green Kitchen. Along with a love of the planet and trying to live as environmentally-friendly as possible, we have made a cafe that will encompass all these elements. Available for outside catering and also the venue can be booked for private parties with a minimum of 10 people. A Buddha Bowl is our main concept for mobile catering and is essentially a noodle box filled with all of our favourite things! Our signature Buddha Bowl was winner of Best Main Dish at the British Street Food Awards. We're also available for private hire for weddings, birthdays and other events. Everything we create is completely plant-based and animal-free. Our ingredients are mostly organic and our delicious food is all handmade from scratch. We are able to provide as much food as you need, be it for daily consumption or for a social gathering. Until further notice we will be at Hampstead Community Centre first two Saturdays of every month, where between 10am and 6pm you will be able to collect pre-ordered food and get a chance to taste everything else. We can also deliver food: in the past, we have delivered for a few photoshoots, business meetings, long weekend get-aways, dinner parties, Sunday brunches and a couple of kids parties. We are passionate about reinventing traditional Italian food to a vegan version. We operate from a Red Double Decker Bus converted into a mobile catering unit and we can do events, festivals, private hire and workshops. We are the UK's best vegan hot dog company! We make everything from scratch where possible. We use organic tofu hot dogs loaded with tasty treats and are happy to talk about a unique menu based on what you fancy! We can cater in a very limited space with minimal power requirements. Herbivorous is a vegan mobile street food company founded by two enthusiastic foodies, Damian and Robyn. We make plant based food with a difference, drawing inspiration from the vegan fast food industry in America and principally, California. All our food is 100% plant based. We make wraps and buns filled with juicy meat substitutes, such as our jackfruit 'pulled pork' bun. SpiceBox creates 100% vegan Indian food that is good for you and good for the planet. Drawing from ancient Ayurvedic wisdom, we pack our curries with super spices that nourish your body and soul. We've swapped animal fats, sugar and general nastiness for vegetables, pulses and plant-based goodness - meaning that all our Spice Boxes are less than half the calories of your standard curry, whilst tasting just as good. Win. We have a daily stall at Camden Market plus other events/markets and are available for private catering and events. We specialise in tasty, healthy vegan food and serve the best quality vegan food at markets and events all over London. We also create bespoke menus to fit with any events including weddings, birthday parties, canapé events or conference catering. We seek out exceptional produce from artisan suppliers specialising in seasonal, traceable, organic, fair trade and local ingredients. As vegans we are passionate about the impact of the meat industry on the planet, humans and animals that give their lives. Our objective is to inspire and enlighten each and every customer with our diverse food. Cem and Roj were holidaying in Bodrum, Turkey, with family when Cem, whilst sipping on a cold beer, dropped the bombshell that he was no longer eating meat. Roj replied, “You know my uncle does a Vegan Döner in Germany?” Cem said, “That’s a good idea, let’s try it!” With a quick pit stop in London and flights booked, Roj and Cem flew out to Freiburg to experience the Vegan Döner. Wowed by the taste, they knew they had to bring the recipe back home and within a few days they had learnt the ropes – flipping the famous breads and discovering the unique combination of spices that make the kebab so tasty. Just two weeks later, back home in the big smoke, their Vegan Döner shed opened to the public on the 1st August in the heart of Shoreditch – putting a healthier, more ethical spin on a British classic. Organic Livity is London‘s premier Vegan Holistic Pâtisserie purveyor of healthy gourmet cuisine. We are particularly focused on organic living foods (raw), vegan, alternative diet including free from wheat, gluten, sugar, sweetener, dairy, soy, GMO & MSG products. Each cake is designed in order to your choice from our list or customized according to your specific needs. We can also do finger food buffets for up to 100 guests. 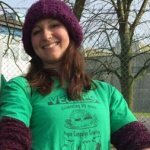 Gluten free vegan kitchen based in London. Vegan is more than a food choice. It's a community, a culture, an ever expanding club where the only price of entry is being mindful and giving a fook. Be part of the revolution. Canapés and bowl foods that will make your mouth water! Our classically trained chef will collaborate with you to make your next event a truly memorable experience. You can specify the level of service best suited to your event. We can arrange plate, glass and cutlery hire, with candles and flowers if you'd like, and would be happy to discuss any more specific venue-dressing instructions you may have. Whenever possible, Vegan Peasant Catering sources organic, fair trade, seasonal and local ingredients. We pride ourselves on being able to delight your vegetarian, and non-vegetarian friends alike. We cater private parties, corporate functions and grand celebrations. We provide Plant Based Vegan Burgers from our food stalls across London. Our burgers are 100% Plant Based & 100% Tasty! No processed mock or soya meat. No Preservatives. Organic & Clean. Healthier Junk Food is here! So why not give the quarter pounder a break for a day and try our scrumptious quinoa and black bean burger? You won’t be disappointed. Culinary Health is a bespoke Clean Vegan Caterer creating delicious and beautifully presented dishes, canapés and buffet foods. We pride ourselves in serving only vegan foods which are organic, gluten-free, wholesome, alkaline and free of refined sugars and flours. Options include raw vegan and probiotic dishes. Our ingredients are organic and sourced regionally whenever possible as sustainability is of great importance to us. Vitao's mission is to feed global change by serving delicious, sustainable, gourmet 'living food' that is perfect for the mind, body & planet. We are proud to only serve food & drinks that are vegan, gluten-free, & free-from refined sugar. Everyday our buffet offers a large range of vegan raw and steamed whole food; from hot curries, to probiotic salads, soups, & pasta dishes, you can always be sure to get an optimally nutritious and delicious meal. Contact us to discuss private and outside catering. Monsoon and Accessorize as well as a number of local offices and private parties. We’re a friendly, curious bunch. Always learning, growing and creating fab free-from treats for everyone. Free-from means freedom. Simple. So everyone’s invited to indulge without worry. All recipes and ingredients are free from wheat, gluten, dairy, eggs and nuts and all entirely Vegan. Yorica! is where the love is. From process to product. Bye-bye allergens and intolerances! It’s our outta this world, earth-bound ingredients that makes Yorica! so divine. All free-from. All certified and traced, from crop to cone. Our ice cream van is available to hire for private events. Homemade vegan Italian food. Pomodoro E Basilico can cater for various special events and functions from anniversaries and birthday celebrations to office parties. We can offer set menus for large bookings and our friendly and helpful staff will be on hand to make sure you have a great party. Vegan raw and baked, sweets and savouries. Nectar Foods is the catering business of the Bhakti Yoga Institute, which is run by a group of practitioners of Bhakti Yoga. We started this catering company to express our cooking skills and to help towards the funding of our center/charity in West London. Our international cooking team comes from as far as Venezuela, Hungary, Holland and China. We have all been vegetarian (without eggs or fish) for over 20 years. Now with the decline in good animal care many of us are looking to veganism and raw foods for good nutrition without causing suffering to others. All our foods are prepared in a clean and loving environment and are prepared with consciousness of where the ingredients come come from. We have a history of food stalls and catering from Glastonbury festival to high society weddings. We are constantly creating and experimenting with new ideas for your pleasure. Club Mexicana is a big, bold twist on Mexican street food! We make sensational vegan food packed full of crazy-good fillings, homemade sauces and toppings. Our number one goal is to create dishes that are absolutely packed with flavour. Look out for our BBQ jackfruit, tempeh chorizo with chipotle cashew cheese, smoky black beans and slow cooked chipotle beans. We can cater for anything- as small as you and your mates, or something really OTT. Birthdays, weddings, bar mitzvahs, divorce parties, ski chalet parties, or the classic no-reason-at-all-party. We're happy to mix up our menu and go as formal or as informal as you'd like, from a street food set-up to something a bit more fancy-schmancy. Chennai Srilalitha is the authentic Indian restaurant at Harrow London, and has been proudly presenting Indian food of unique flavours for the past decade in their restaurant dining experience. Available to hire for any type of private catering services, including extensive wedding catering menus. North & South Indian pure vegetarian dishes are included in buffets, and the lipsmacking cuisine is sure to make your occasion memorable. With more than 20 years of professional experience as vegetarian caterers, we offer a diverse variety of dishes. Whether catering for a private function or gourmet meal, we aim to give you an extraordinary experience. 38 years of catering experience at festivals, weddings, conferences and celebrations. Wild food walks with food and wine. Our food is all about stripping away the unnecessary animal products, putting fresh vegetables in the spotlight, yet still keeping intact the perfect balance of authentic Asian flavours. We make everything from scratch and in house - from our vegan protein to our sauces. We aim to make food that is fun and satisfying for both vegans and meat-eaters alike. Our menu consists of banh mi baguettes, noodle and kimchi fried rice bowls, steamed bao buns that are filled with pickled carrots, kimchi, fresh vegetables, homemade Korean BBQ seitan, Lemongrass soya chckn. We operate regularly from market stalls in Soho. We also do private catering - from company lunches to big conference talks, from Meatless Mondays to Indulgent Fridays - we've got you covered. Get In. Get Full. STAY HEALTHY. Eating healthily doesn’t mean you have to eat only lettuce. We are called Fat Salad because we make big FAT portions of amazing, healthy food. We’ve been feeding festival goers our healthy dance fuel at UK festivals for three years now & now we’ve brought our fat boxes to TOWN. Tummy pleasing, healthy, filling, amazing, exciting, largely organic, vegetarian and vegan food for hungry mouths across the land. Rainforest is a stylish and modern food catering service based in the heart of London. With food stalls in Chelsea, Alexandra Palace, Herne Hill and Hammersmith – Rainforest Creations is making a name for itself for preparing the best in Caribbean, tropical, raw and organic, authentic and biogenic foods. We use raw and living fruits, vegetables, seeds, nuts, herbs, spices and grains which are divine fuel necessary to supremely nourish brain, the body and the spirit. Beautifully crafted food that is as exciting to look at as it is to eat. Their salad boxes come with a variety of healthy options with flavoursome dressings that really elevate these raw creations. If you're looking to spice up your party with a street food van or a buffet to keep your friends and family full, We have some amazing budget friendly services that you will love. Let us know your budget per person and we will work out how to make that happen. Helping you to create a healthy balanced life, through putting you back in control of your own health and that of your loved ones! We do 'Vegan Flavours of the Caribbean' pop-up dining events and can also offer vegan catering for small parties and events etc. Committed to promoting a healthy lifestyle and serving you great vegan cuisine. Our food is low-fat, low-salt, non-GM and organic where possible. Can provide catering for private events. The best of caribbean in every meal. We believe in sharing the taste of the caribbean and engaging you with our warm, friendly hospitality that will make you feel like you have been to our island in the sun. Our assortment of the finest selection of caribbean delights, our renowned island jerk sauce, and our modern take on traditional island pastry tells a wonderful story. The best of both worlds from across the atlantic to your doorstep. Everybody deserves great cake. It is our job to create indulgent and decadent cakes for you regardless of what you can, and cannot eat. Ms. Cupcake makes cupcakes, layer cakes, cookies, muffins, squares, sandwiches, savoury treats and much, much more. 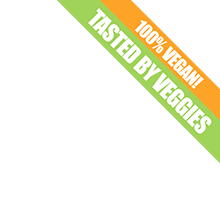 Everything we make is always 100% vegan and we additionally make lots of products without wheat/gluten. Paradise for anyone with a serious sweet tooth! Their sweet treats are colourful, decadent and always a sell out at any event I've been to. I’m proud to offer a fully vegetarian catering service with a huge selection of vegan options. Having spent years developing a range of awesome veggie and vegan dishes, I’m on a mission to change the face of plant-based food - showcasing the best local and seasonal ingredients, whilst drawing inspiration from my travels, London upbringing and East African / Indian heritage. Get in touch to find out how I can cater your event with natural, whole and seasonal foods that would satisfy even the most dedicated carnivores! Vegetarian and vegan catering never tasted so good. Is your child intolerant or allergic to certain foodstuffs? They needn't miss out on a celebration Birthday Party! Kitchen Buddy Birthday Parties are suitable for children (& adults) with lactose/dairy, wheat/gluten intolerance, vegetarian, vegan or raw-food and nut-free diets. Can also provide guided foraging tours and vegan cookery classes. Sweet and savoury raw vegan treats - as healthy as can be! Treat yourself and your loved ones with some truly wholesome, scrumptious raw vegan food, that will leave you feeling your best! Order treats for yourself and your family, cakes for birthdays, special occasion, weddings and christenings. You name it - we can make it! Many savoury options are also available: pizzas, breads, cheeses and our favourite savoury tartlets. Award winning vegan catering and vegan cookery classes. If you're looking for delicious lovingly-produced home-cooked food, suitable for a variety of tastes, then you have come to the right place. At Shambhu's we understand how the quality and taste of the food served to your guests can have a profound effect on the overall ambiance of your event, whether it is a meeting, seminar, class, office party, private party, conference, function or festival. So many good words to say about our friends Shambhu's. Such wonderful people making great, wholesome food. I've enjoyed their filling mung bean curry on lots of occasions and you don't want to miss trying their incredible vegan cheesecake. By combining my love of food and culture, I hope to create and share mouth-watering dishes that showcase the wealth of exciting flavours that Nigeria has to offer. I also enjoy fusion cooking, so may stray into trying out a range of dishes from other cultures and putting my own spin on it. Can cater for – Birthdays. Weddings. Office/Business functions. Themed parties. If you would like some vegan treats for your event, get in touch for more information. Founded in 2017, we have been committed to serving up American inspired treats to all of our customers. We sell brownies, cupcakes, cookies, cakes, peanut butter cups, blondies & creme eggs! Our products are dairy free, egg free and vegan. A few of our treats are naturally gluten free too! All our items are made fresh to order so please allow us 1 day advance notice. We can deliver to Luton and surrounding areas for a small fee and pick up is always welcome. We can cater for weddings, birthdays or other special events. UK postal delivery is now available! Please let us know of any allergies before ordering. We are proud of our 5 star hygiene rating! Are you looking for delicious, fresh and colourful dishes for your event? Gorgeous gourmet ready-meals for your freezer? A pop-up supper club for your party? All dishes are carefully created in our vegan kitchen with the freshest, local ingredients. Awarded a top five star hygiene rating. From big pots of dhal for your dinner party, canapés for your christening or super squishy Bakewell slices for your sister's birthday, we promise delicious, freshly-made food for you and your guests. We would love to hear from you and endeavour to process all quotes within two days. If you're happy, we're happy! Our company started with the desire to discover ways to enjoy the food we eat with as much love and kindness while not neglecting flavours. We have a love of world cuisine and try to incorporate this into our food as much possible. We specialise in private and public catering, deliveries and collection. Food is my passion and I provide a service that caters to individual desires and budgets. Weddings and other events, large or small - canapes, BBQ's, sit down formal dinners, buffets. I can provide great tasting cuisine for your special day; as a full sit down wedding breakfast, buffet, evening meal or street food set up. Delighting your guests with sumptuous vegetarian and vegan deliciousness with an international twist. Vega Mama is a mobile catering service providing vegan food for all occasions. We provide vegan wholesome food and everything is fresh on the day. We come to you! Eat better, live better. We offer a completely bespoke catering service; to make sure all your requirements and wishes could be provided for, as well as providing festival catering from our dearly beloved food truck. Our Vegan or Raw-Food menu is going to make you a real trendsetter; but at the same time will delight the taste-buds of all your guests. Whether you’re throwing a small dinner party for a few people or planning a banquet for your wedding reception; we can be of service. We have a fantastic range of freshly made raw, vegan and gluten-free foods, juices and smoothies. Contact us if you need small scale catering for private functions. Unique street food for the masses! Vegetarian and Vegan meat free meat! Loaded sweet potato fries & other veggie & vegan options at an affordable price. Hitting a market, town, event & festival near you soon!